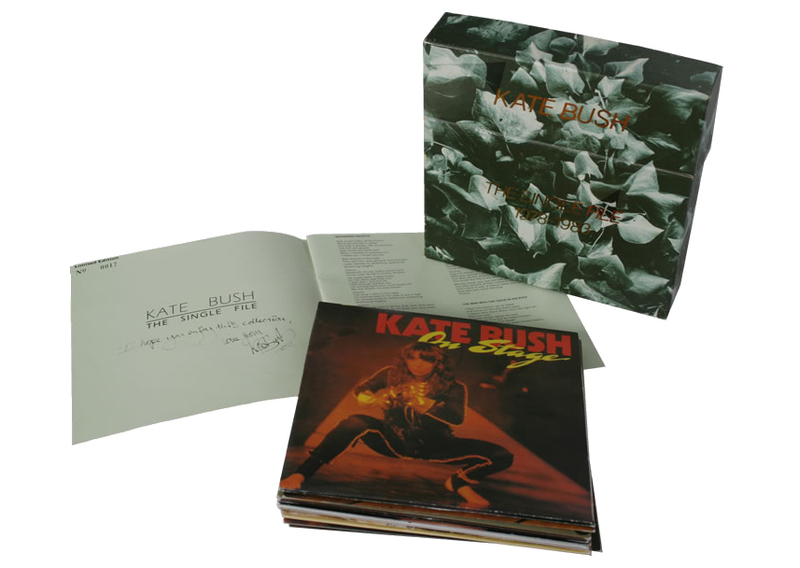 The Single File 1978-1983 is a box set released on 23 January 1984, containing all of Kate Bush's 7" singles from Wuthering Heights (1978) to There Goes A Tenner (1983), plus the 7" for Ne T'enfuis Pas, which until then had not been released in the UK. The set also included a lyric booklet with four photographs. In the USA, the box set was released as a limited numbered edition, whereas in the UK and Europe there was an unnumbered and, so it would seem, unlimited edition.